Start impressing your office guests the minute they walk in the door! 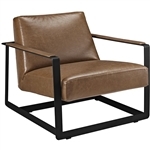 The modern lounge chairs for sale online at OfficeFurnitureDeals.com provide unmatched comfort and the visual appeal needed to help you make a positive first impression. Our modern tablet arm lounge chairs and powered lounge seating will improve the visitor experience without breaking your budget. 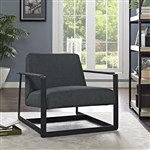 Here shoppers will find best selling modern lounge chairs from reputable brands like Global Total Office, Mayline, and Lesro Industries on sale with free shipping and bulk discount pricing. 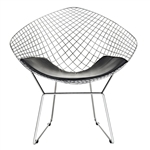 Need help selecting modern lounge chairs for your lounge, lobby, or waiting room? Contact our furniture specialists direct at 800-456-6746. Your Price: $612.75 + FREE Shipping! Your Price: $824.00 + FREE Shipping! Your Price: $194.25 + FREE Shipping! Your Price: $379.00 + FREE Shipping! Your Price: $588.00 + FREE Shipping! Your Price: $1,137.25 + FREE Shipping! Your Price: $761.50 + FREE Shipping!